SELF-PUBLISHING is the publication of any book or other media by the author of the work, without the involvement of an established third-party publisher. A self-published physical book is said to be privately printed. The author is responsible and in control of entire process including, in the case of a book, the design of the cover and interior, formats, price, distribution, marketing and public relations. The authors can do it all themselves or outsource all or part of the process to companies that offer these services. Self-publishing is not limited to physical books. Ebooks, pamphlets, sales brochures, websites, and other materials are commonly self-published. 7 tips for book marketing - "Finally. After countless months of writing and rewriting, brainstorming and brain farting, editing and re-editing, your book is being published. The labor of your love is in your hands. It’s being sold on Amazon. It’s being shipped to Barnes & Noble." From paying the bills, to £2,000 a day: making a killing from self-publishing - "Her Last Tomorrow, Adam Croft’s latest DIY thriller, lifted his bedroom business into the sales stratosphere. He talks about paying off his mortgage in weeks and why he’s fine with publishers being ‘sniffy’." How to Write an E-Book in Google Docs - "The support you need for writing your first e-book may be as close as your computer and your Google e-mail, where you will find document templates that are relatively easy to use." PRINT ON DEMAND - Wikipedia. TOP 10 BEST SELF-PUBLISHING COMPANIES - "Choosing one of the best self-publishing companies can make a difference in a book's performance. If you will self-publish your book, you need to read this." Top 10 Self-Publishing Companies for First-Time Authors in 2018 - "Choosing a trustworthy publishing company can be unnerving. 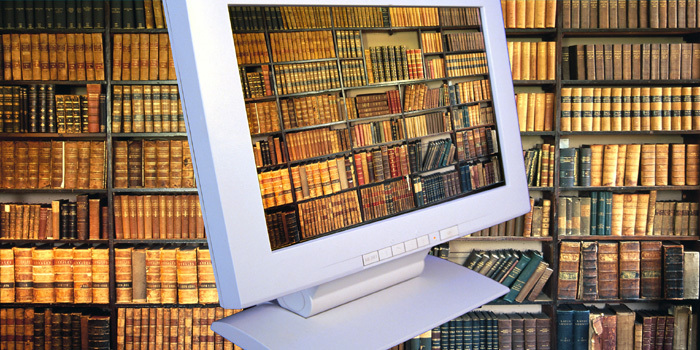 Here are the top 10 self-publishing companies that could help you publish your book." Vanity Press - definition & explanation. Barnes & Noble Press - since 2010. "How to Self-Publish with Us." Publishing with B&N Press is as easy as 1, 2, 3. You can easily create different formats of your book, publish, and get sales reporting - all in one place. Barnes & Noble Press offers a variety of resources to help you drive awareness and sales of your book, from marketing tips and advice to exclusive merchandising programs. BLURB - since 2004. "Blurb helps you tell and share your stories: in bookstore-quality books, on the web, and with your mobile. Your genius, our tools." bookbaby - since 2010. "The first truly affordable book editing solution for self-published authors." Self-publishing made easy: from cover design, book printing, eBook conversions, distribution, website creation, and more. Self-publish, print and distribute your book worldwide at Amazon, Kindle, Apple Books and Barnes & Noble. BookBaby distributes the works of independent authors, making their titles available in retailers in over 170 countries around the globe. CreateSpace - since 2000. An Amazon company. "We now offer specialized options for your different publishing needs. Login to get started with Kindle Direct Publishing, Manufacturing on Demand, or Print on Demand for publishers." Self-publish eBooks and paperbacks for free and reach millions of readers on Amazon. Draft2Digital - since 2012. "We’ll convert your Word document into an ebook with clean chapter breaks, a functioning table of contents, and optional endmatter to help you generate more sales. Want to print it? We can do that too." FLIPPING BOOK - since 2004. "Every business can get more from their documents." Transform your PDFs into HTML5 documents that have a professional look and feel, marketing tools, and analytics. IBOOKS AUTHOR - since 2002. "Create and publish amazing Multi-Touch books for iPad." Available free on the Mac App Store, iBooks Author is an amazing app that allows anyone to create beautiful textbooks - and just about any other kind of book - for iPad, iPhone, and Mac. With galleries, video, interactive diagrams, 3D objects, mathematical expressions, and more, these books bring content to life in ways the printed page never could. IngramSpark - since 2013. "Master Print and Digital Self-Publishing." A premier services partner for the independent publisher, IngramSpark offers self-publishers, authors, and small publishing houses easy access to distribution, production, creation, and book assembly services in one location, at a price point they can afford. KIM WEISS PUBLISHING SERVICES - since 1994. "From Brainstorm to Bestseller. An Insider's Look at Publishing Your Book." Kobo Writing Life - since 2012. "Publish with Kobo Writing Life. Reach millions of Kobo readers around the world." Publish your eBook in a few short steps.Just create a Kobo Writing Life account, upload your manuscript, and set the price. We’ll add it to the Kobo catalogue within 72 hours and keep it there as long as you want. Lightning Source - since 1996. "Publishing Solutions for Everyone." No matter your size, Ingram’s Lightning Source has an on-demand print solution tailored to your business’ needs. Print-on-demand solutions to deliver the books your customers want with speed and efficiency. LULU BLOG - since 2002. "Lulu is dedicated to making the world a better place, one book at a time, through sustainable practices, innovative print-on-demand products and a commitment to excellent service." MOVABLE TYPE - since 2001. "Professional publishing platform." Free software weblog publishing system. Outskirts Press Self-Publishing - since 2002. "Outskirts Press helps authors develop and publish high-quality books by offering exceptional design, printing, publishing, distribution, and book marketing services. Top Consumer Reviews ranks us #1 because we deliver outstanding customer service, affordable pricing, industry-leading royalties, and a team of hands-on, US-based publishing experts (many of whom are writers themselves). In short, we take the complexity and guesswork out of publishing, and our mission is to help you publish the book of your dreams." PRINTONDEMAND.COM - "You can harness the latest advancements in printing technology to print your books when you need them, with professional quality, and at the speed the rest of the world expects!" PRINTONDEMAND-WORLDWIDE.COM - since 1994. "Printondemand-worldwide offers publishers a complete end to end publishing solution, from publishing services to affordable mono & HD colour printing." Printondemand-worldwide is one of the UK's longest established, award winning, digital book and journal printers. SMASHWORDS - since 2008. "your ebook.your way." The world's largest distributor of indie ebooks. We make it fast, free and easy for any author or publisher, anywhere in the world, to publish and distribute ebooks to the major retailers and thousands of libraries. In our first year, we published 140 books from 90 authors. Our catalog reached 6,000 books in 2009, 28,800 in 2010, 92,000 in 2011, 191,000 in 2012 and as of this writing (November 2018) stands at over 500,000 titles. THE BOOK PATCH - since 2009. "Affordable and Easy Self Publishing." At TheBookPatch we provide a very affordable solution to printing small to medium size quantities of books. We even have a free bookstore you can send your customers to so they can purchase your book. We literally charge you nothing for this service other than the cost of printing and shipping - and your readers pay that, you pay nothing! Virtual Bookworm - since 2000. "Virtualbookworm specializes in print-on-demand and self-publishing, marketing services, cover and layout design, eBook publishing and sales and more." Xlibris - since 1997. "Xlibris offers a wide selection of services and packages, including Black & White or Full Color book publishing, editing, printing, and marketing."